Saving the Best for Last? 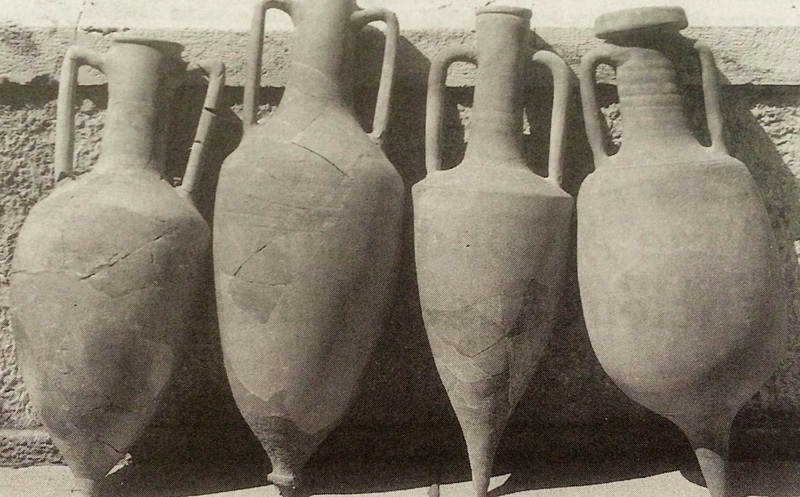 Winemaking was a practice in the ancient world we now call the Middle East and parts of Africa. Wine was made in the triangle of the Black Sea, the Caspian Sea and Lake Kinneret (the Sea of Galilee—consider eastern Turkey, Georgia and Armenia. Then the vines made their way to Egypt. There wine’s importance was first documented. The vines also passed through Canaan and ancient Israel. 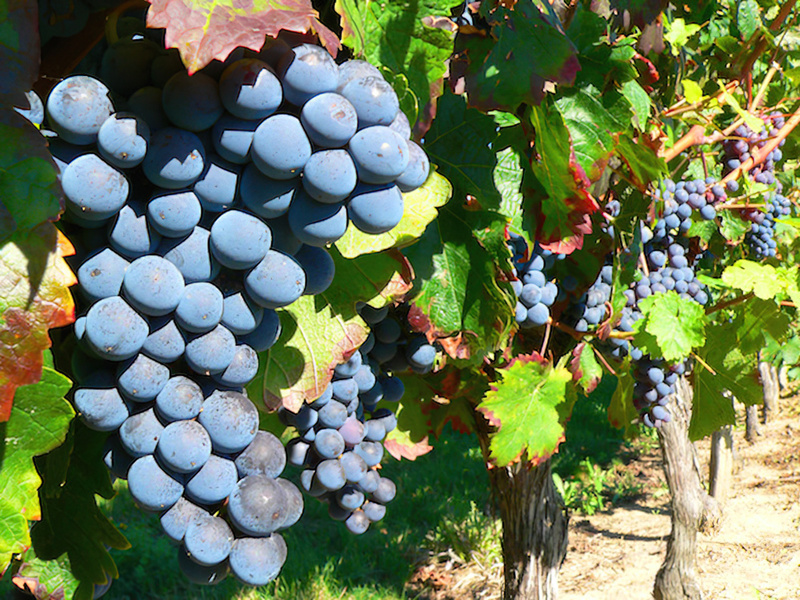 After that, Phoenicians, Greeks and Romans brought the vines to what is now Western Europe and North Africa and then the Spanish brought it to the Americas. 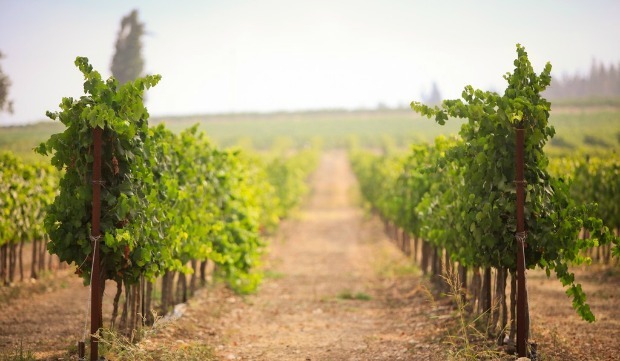 Wine figures prominently in the Bible—both the Old and New Testaments. Prophets like Isaiah use wine frequently as imagery in prophecy. Prominent characters like King David, Moses, and many others were wine drinkers. Noah was the first recorded vine grower. He planted his vineyard where the ark came to rest on Mount Ararat. Back in Jesus’ day, people drank a lot of wine because it was often safer than water. Wine was also a disinfectant for wounds, an agent for dying, a digestion aid, and an instrument for religious ritual. When people traveled, they would put the wine in animal hides [often goat]. 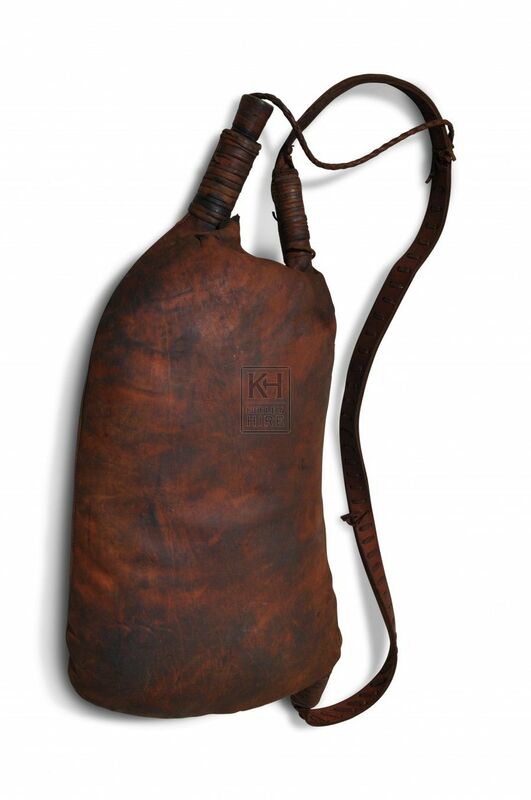 These wineskin flasks allowed for the wine to keep fermenting while it was stored. Sounds like my kinda dude. How many times have you ever considered that Jesus may have been really fun to hang out with? Hmmmm…. Anyway, we find ourselves in a John Gospel story that is often referred to as the first miracle story. But let’s bring it back down to earth. Jesus and his fam and some of his followers are at a wedding in nearby Cana of Galilee. It’s a party. Now at some point, they ran out of wine. And that’s bad news for a wedding reception. How are grandma and grandpa going to do the electric slide without wine? At first Jesus seems a little put off. I mean, is it really his problem that the hosts ran out of wine? But Jesus’ mom knows what she’s doing. She’s savvy. She’s in on the joke, you see. She tells the servants to do whatever Jesus says. Then we get some important details. There are 6 stone water jars for the Jewish rites of purification. Aha! Let’s explore this. In Jesus’ day, the Jewish people had developed water purification rituals before entering the temple or other religious rites. They would submerge themselves in a mikveh, a collection of water similar to a pool. So those 20-30 gallon jars were for purification purposes. You sensing where this is going yet? I don’t need to fill in the blanks, right? Consider that Jesus of Nazareth had recently met up with crazy John the baptizer at the River Jordan to be submerged in the water, baptized. It was a ritual cleansing for “reorienting” [repenting]. So now Jesus has the people fill those empty purification jars with water. What was supposed to hold “holy” water would now be party juice. They do it and then they draw some out for the chief steward. He takes one drink and is like: “What is this? It’s gooood…” See, usually you serve the good wine at the beginning of the reception and then people’s taste buds get numb so that at the end of the night you can serve the bleh or meh wine. But the opposite was true—the best wine for last. There is so much to say about this story. What stands out to me is the interplay of water as a purifying, cleansing, blessing agent and wine as coming from that water and bringing about joy, and existing in the everyday lives of ordinary people, and quite frankly, reminding us that all our religious rules and rites can blow up at any moment. There will be resistance to us turning water into wine, friends. There will be people with red baseball hats that call certain others unclean and shout hateful and harmful rhetoric about making things great again, but we’ve learned from this story, haven’t we? Being great isn’t about power or sovereignty or control. We don’t get to say who is clean or unclean. At any moment, things can flip. See, greatness is about serving others in love. For if our actions are generated by love, we will make change. We will change water into wine. We will turn the tables in ourselves and in the world. Salud! Have you ever wanted to tantalize an audience with an amazing magic trick? How about showing off your miracle skills in front of a bunch of people? Would you like to turn water into wine? Yes, even you can be a miracle worker! Thanks, science! 1. Place a small amount of sodium hydroxide in the first glass and a little phenolphthalein in the second. In the third, add a weak acid, such as vinegar. Using differently shaped glasses ensures that you will not get them confused. 2. Fill a jug with water when you are demonstrating this experiment to others. As this is plain water, you can let your audience taste it. 3. Pour water into the first glass and stir. This is now no longer pure water but a mildly alkaline solution. 4. Pour the contents of the first glass into the second and stir. Watch as the mixture changes color, because phenolphthalein is a pH indicator that turns red in alkaline solutions. 5. Pour the red liquid into the third glass and stir once more. The acid neutralizes the solution, which should now become clear again. So wait…was Jesus a mad scientist or fake peddler of miracles? I think we obsess [a lot] over Jesus’ miracles in the Gospel stories, and that leads us to obsessing over “miracle cures” that make it to our email inbox or redirect us to another link via Facebook or other social media. Personally, I don’t think that the Gospel stories intend for us to focus on miraculous things so as to prove Jesus was great. Cana is the setting–a village in Galilee, about 9 miles north of Nazareth. And it’s a wedding! Keep in mind that at the time of John’s Gospel stories about Jesus [i.e. the end of the 1st/beginning of 2nd Century], in Israel and Palestine, weddings were a big deal. They typically lasted a week. So you can imagine just how much wine was needed. So it goes that the hosts of the wedding would serve the best wine at the beginning of the wedding celebration, when everyone could taste and enjoy. And then, after a few days of partying, the hosts would break out the cheaper stuff, because by that time, nobody noticed. That is the setting in this John story, and it’s quite the story. Apparently, the wedding hosts ran out of wine–at least Jesus’ mom thinks so. That’s right–an appearance from Jesus’ mom! Mary [Miriam] appears suddenly in Luke and Matthew’s birth story that we read at Christmastime, but after that, she pretty much disappears. In John’s Gospel, however, Miriam/Mary appears twice–here at the beginning of Jesus’ public ministry [first miracle story], and then at his death. But in this case, at a wedding, we get an actual conversation between Mary and her son, Jesus. Mary notes that the wedding hosts have run out our wine. Jesus’ response is that they should have hired a better wedding planner. Mary then tells the servants to do whatever Jesus says. So the servants filled the water pots, six of them, with water, and then they brought the pots to the governor of the feast, the head planner of the event. Upon tasting the so-called water, the governor was shocked to taste good wine. Thus ends a fun and interesting story complete with a magic trick/miracle. As you can probably guess. John’s authors are not just telling us a nice fairy-tale to remember something magical Jesus did. So let’s look at just a few of the symbols in John’s wedding tale. Marriages and banquets are eschatological images, or in other words, symbolic events referring to what will happen in the future. Often the Hebrew prophets and the NT Gospels [as well as the NT book of Revelation] use the image of a wedding feast to symbolize paradise, the afterlife, or in general, some good ending for humanity, and the world. And I’m guessing that “on the third day” triggers your Spidey senses. Indeed, three of the Gospels explicitly go out of their way to state that Jesus’ resurrection took place on the third day. So what we have here is a pleasant, joyful, symbol of grace, community and abundance, as well as the idea of new life, even after death. Also, are you wondering about what Jesus said to his mom? “What to me and you, woman? Sounds a bit harsh in English, I’ll admit, and Raven thinks so, too. Simply put, though, in Greek [and considering the culture and time], how Jesus addresses his mom is actually very, very respectful. He didn’t call her mother, but woman. This is expressing equality. Mary, in Jesus ‘eyes, is not just a mother, but a full human being with purpose that extends well beyond society’s conventions. Also, notice these words of Jesus: My hour is not yet come. Another reference to Jesus’ death, and because John’s author wrote this Gospel well after Jesus’ death, of course Jesus in the story can refer to something that has not yet happened. So John is reminding all of us that the wedding at Cana is the beginning of Jesus’ journey to Jerusalem, and eventually, to the cross. John’s Gospel calls this the first of the signs–seven in total. First, there were six stone water jars. Six being one less than seven [according to my mathematical genius], which you probably know is a good number, no wait–a VERY good number in Biblical literature. So seven means completeness or wholeness. Only having six water jars means that you’re so close, but so painfully far from wholeness! Further, the jars were also set “according to the Judean cleansing” which is a reference to the Mosaic Law of the Jewish tradition. Even weddings were set up in such a way as to follow the Jewish rituals. But having six jars means that the rituals and laws weren’t enough to bring the people wholeness. So everyone was missing something. Next, the governor of the feast is juxtaposed with the servants. The governor, when he is served the now wine-filled jars, is shocked at the good taste but also has no idea where the wine came from. The story clearly tells us that the servants are not shocked and also know where the wine came from, because they were direct participants in its making. So once again, the powerful, the heads of society, the so-called elites, or celebrities don’t know what’s going on, and the so-called servants and lower-class people totally know what’s up, cuz they are making it happen! And finally, the governor’s words of every person gives the good wine first, and when they were drunk, the lesser (wine). You have kept the good wine until now shows that Jesus and co. don’t care much for conventions or social rules. The good wine, the good life, should be available at any time, for anyone. Thus, you should be able to draw your own wonderful conclusions from this story. I hope you do. Miracles, whatever that word means to you, don’t happen unless it’s a collective effort. Miracles, to me, are surprising occurrences in everyday life. They could be explained by science, or maybe not. Either way, they are still miracles to me. But they happen in everyday life, and they happen because people make then happen, together. Secondly, we should stop relying so much on social and religious customs and traditions. They just don’t cut it and leave us feeling a bit empty. Why should we only serve the best wine at a certain time? Who says so? Why do we have to have a certain number of jars, prepared in a certain way? Who says? Why should the rich and powerful always get to make decisions while others don’t? Why do we have to have all these social levels and categories of people? Who says so? The good wine at the great feast is and should be accessible for everyone. And that good wine fills everyone’s cup to the brim, and the cup is full now.